One of the biggest fears for investors of any particular asset class is when Wall Street gains the ability to financialize them using Warren Buffet's 'weapons of financial destruction'. And in this we mean the ability for Wall Street to leverage an asset through derivatives. In the financial markets there are many different types of derivatives, including such mundane articles like options or futures. 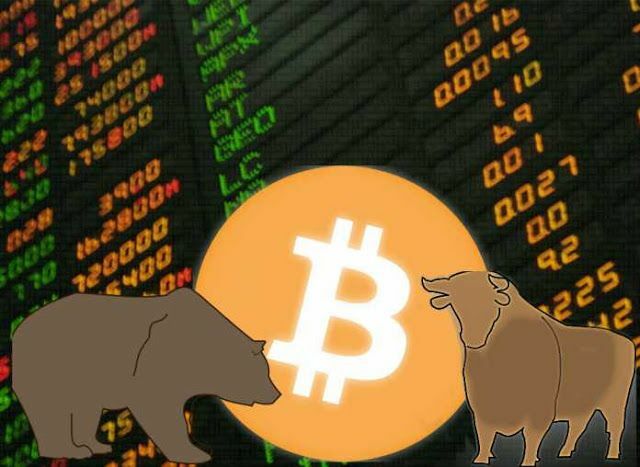 And on July 9, Bitcoin suddenly entered this arena as the CFTC approved the ability for the cryptocurrency to be traded in the options market. In a move that may surprise many in the cryptocurrency world, the US Commodity Futures Trading Commission (CFTC) announced that LedgerX has officially been granted status as a Swap Execution Facility (SEF). For Bitcoin and other cryptocurrency owners, the ability to leverage these assets using paper options contracts should send shockwaves through the entire industry, since it also means that investment banks and major dealers can push big money into these 'decentralized' currencies, and manipulate their prices just as they do with gold and silver in the futures market. It was inevitable that either the government or Wall Street would seek to bring Bitcoin under their derivative umbrella at some point, and to use the markets to control the cryptocurrency when it became apparent they could not destroy it. And this in turn will leave many of the exchanges with little choice but to apply for an options license themselves, and allow investors to buy paper instead of the actual currency, and trade it in a much faster and much more volatile way than before.